Chickens are social animals with unique personalities: Chickens are very social creatures, having the ability to distinguish between more than 100 faces of their species. They also have a distinct “pecking order” that is maintained and hardly challenged, which usually correlates with their personality. And despite their small size, they have the mental capacity to complete various different mental tasks such as learning from each other and passing down cultural knowledge. 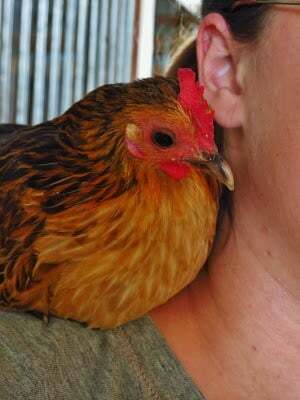 In one study, Bristol University researchers found that hens would often teach their offspring prior learned knowledge. The study involved feeding the hens a mixture of yellow and blue kernels. The yellow kernels were normal and unchanged, while the blue were coated with a chemical that made the chickens feel sick. Hens very quickly learned to stay away from the blue kernels. After hatching their own chicks, the mother hens would steer the chicks away from the blue kernels, always pushing them towards the yellow.